This event title is 自習(Jishuu). Study by yourself at home!" 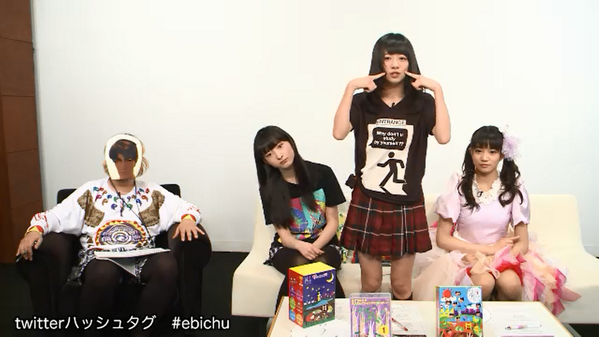 In this event, EbiChu member produce concert. ^ Thanks I didn't know that. 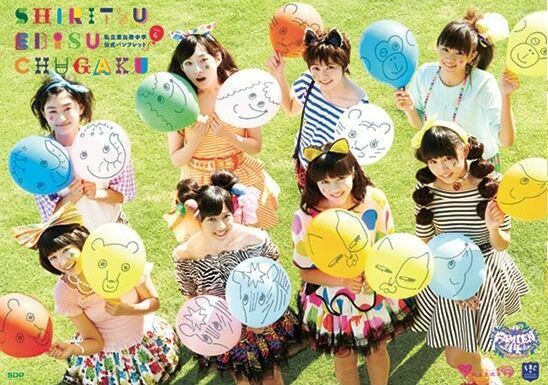 So the members will choose songs and such like Momoclo one too? That's a cool idea. It seems that she wrote the script of Jishuu. Probably, Momoclo chose the songs, but didn't write a script. This event is due to be broadcast with niconicodouga. ^ Yeah I saw pictures of the girls with those and it looks like fun. It's like having an Ebichu mini-army.